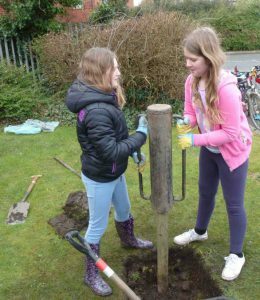 creating a talking point and encouraging social interaction. 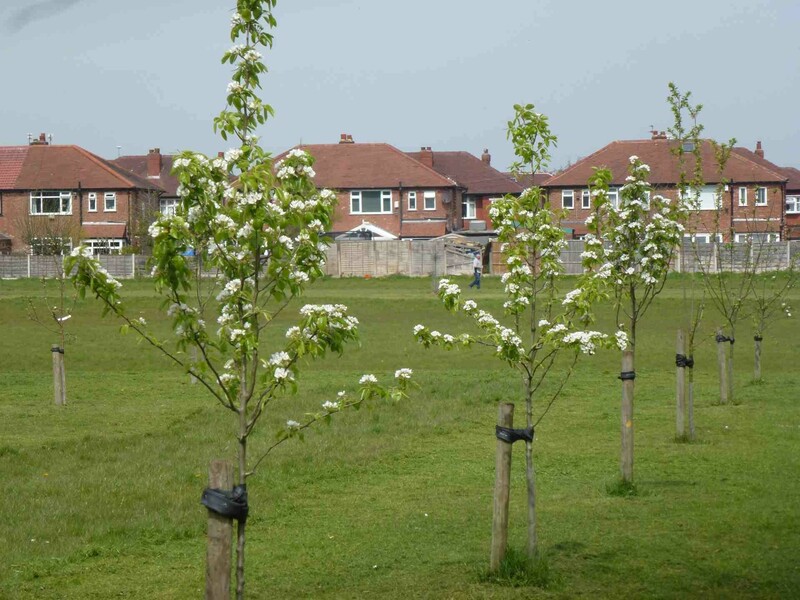 Some of these are on common land and some on accessible private land. 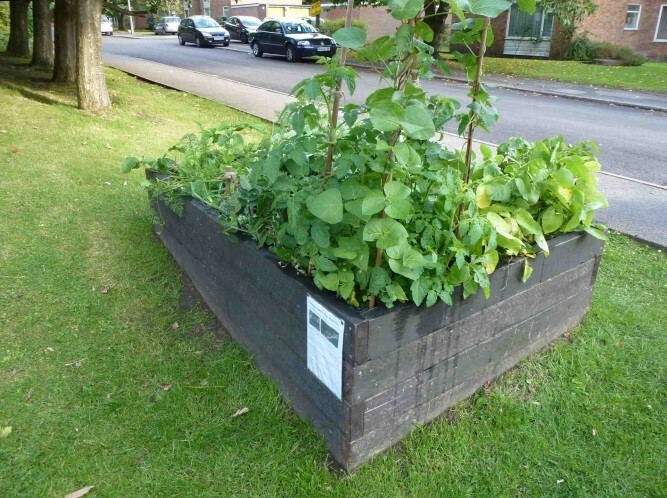 The herb bed near Blue Corn at the Moor Top shops was the first constructed and planted up in 2013 and has proved a popular source of various herbs and veg for several years. 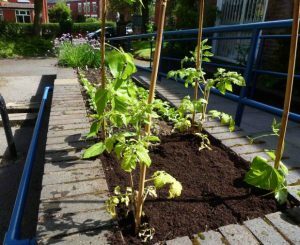 At the Heatons library an existing brick-built, raised bed by the front entrance had the prickly pyracantha replaced with a variety of vegetables and herbs. 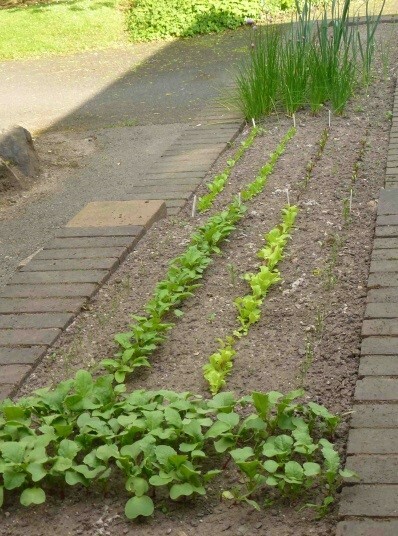 As they ripen they are free for locals to pick and use the fresh produce. 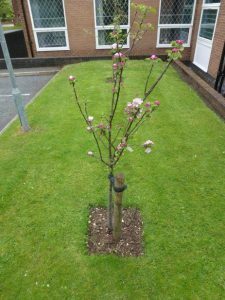 At the back between the library building and the car-park, 2 apple trees – a cooker and an eater – were planted by local scholars. It was an enjoyable learning event for them and the trees have already produced a small crop in their first year. 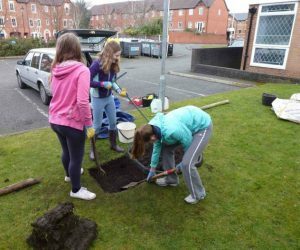 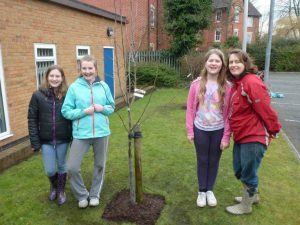 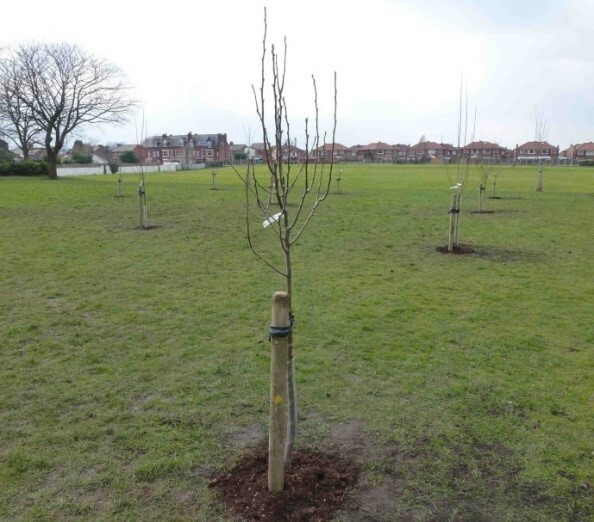 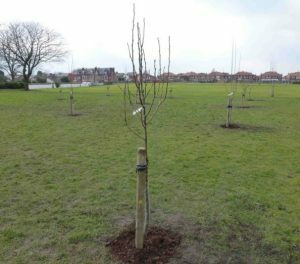 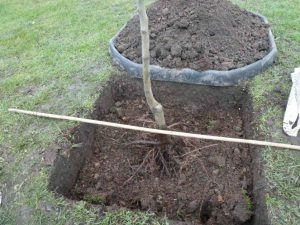 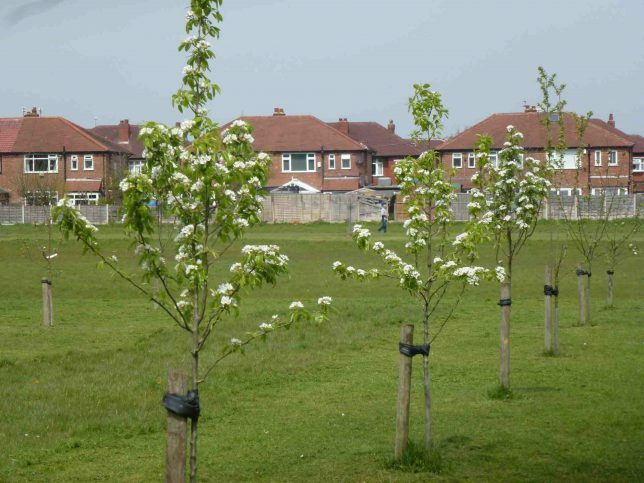 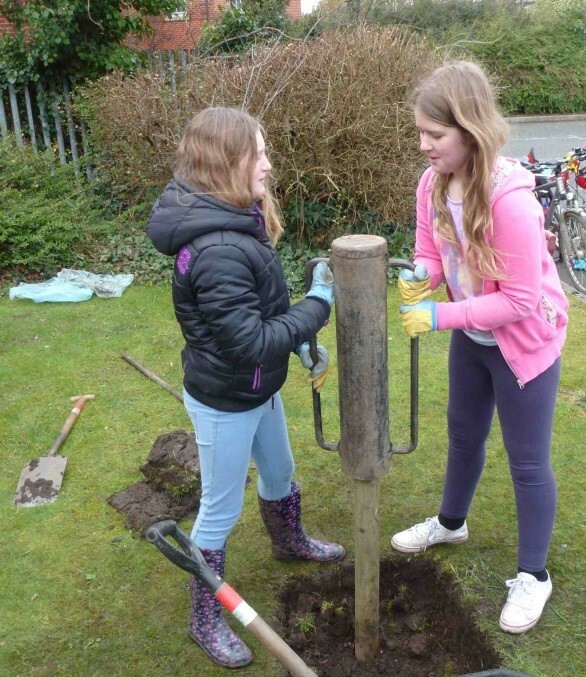 In a corner of the old North Heaton primary school field, a small Orchard of 15 trees – various apple, pear and plum types – were planted in March 2015 by local residents and families, with guidance from SLH. As the trees mature and once the fruit ripens it is there to be picked by the community. The local residents also planted daffodil bulbs to create spring brightness in various clumps around the edge of the field. 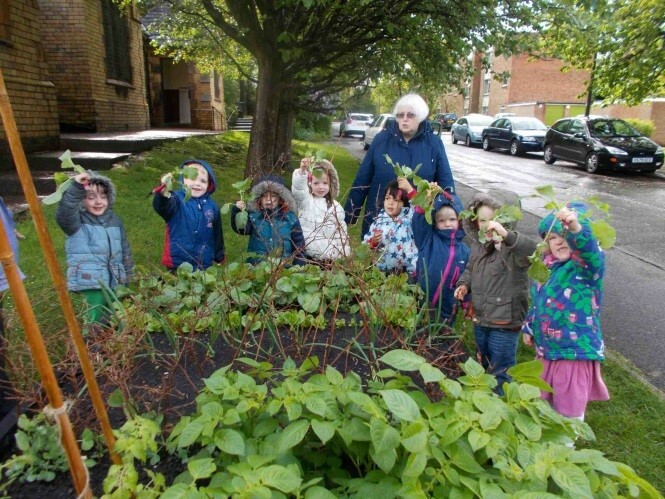 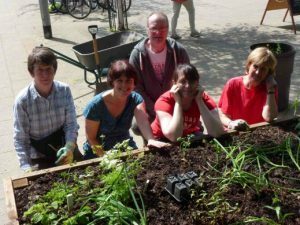 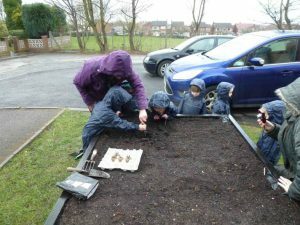 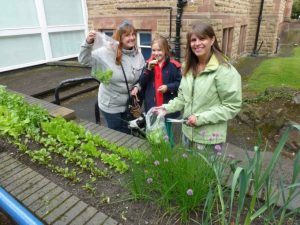 The small raised bed created by SLH at St Paul’s pre-school, near the back of the church hall in early 2015 was provided for the children there to learn about, and to have fun growing, their own food. They have sown or planted all the fruit and vegetables themselves, sowing seeds ranging in sizes from lettuce to potatoes. 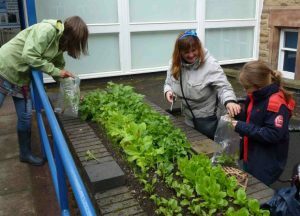 They also pick the produce as it is ready, and them taking this home has encouraged some of the children’s families to grow their own. 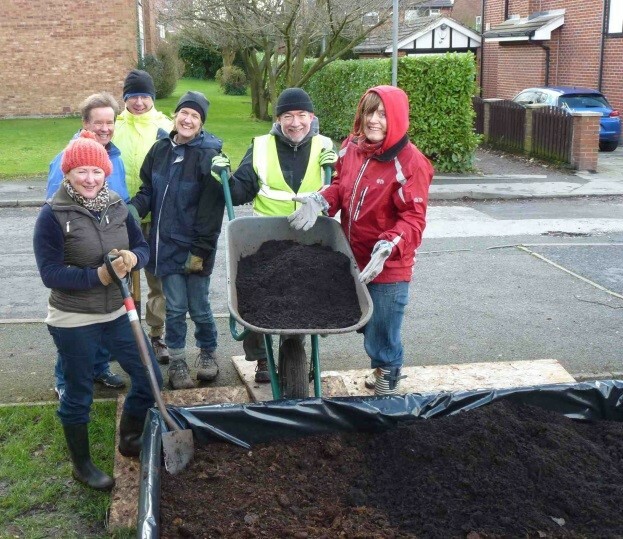 Other raised-bed projects are in the pipeline….. to create these new areas and maintain exiting ones, SLH working groups are active from time to time; look out for future emails. 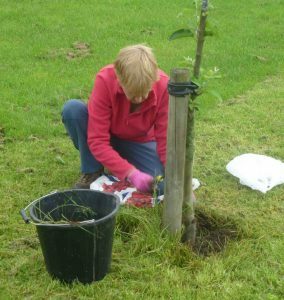 Various members of the group have attended training courses on for example, fruit-tree pruning, wildflower growing, hedge-laying and risk assessment; look out for future courses.